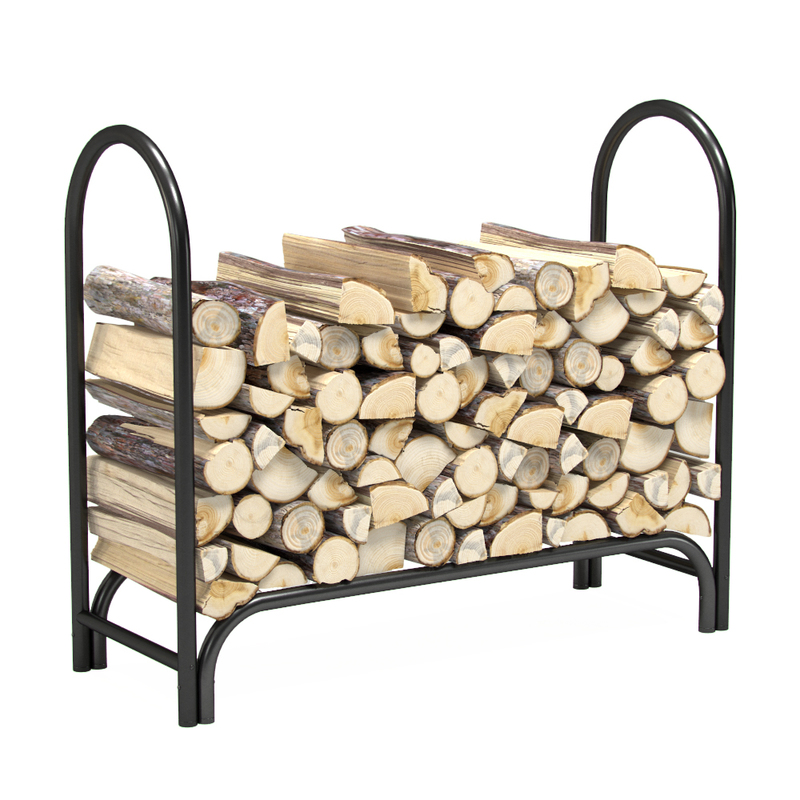 This 4 foot black firewood rack is the smallest sized firewood shelter in the line. 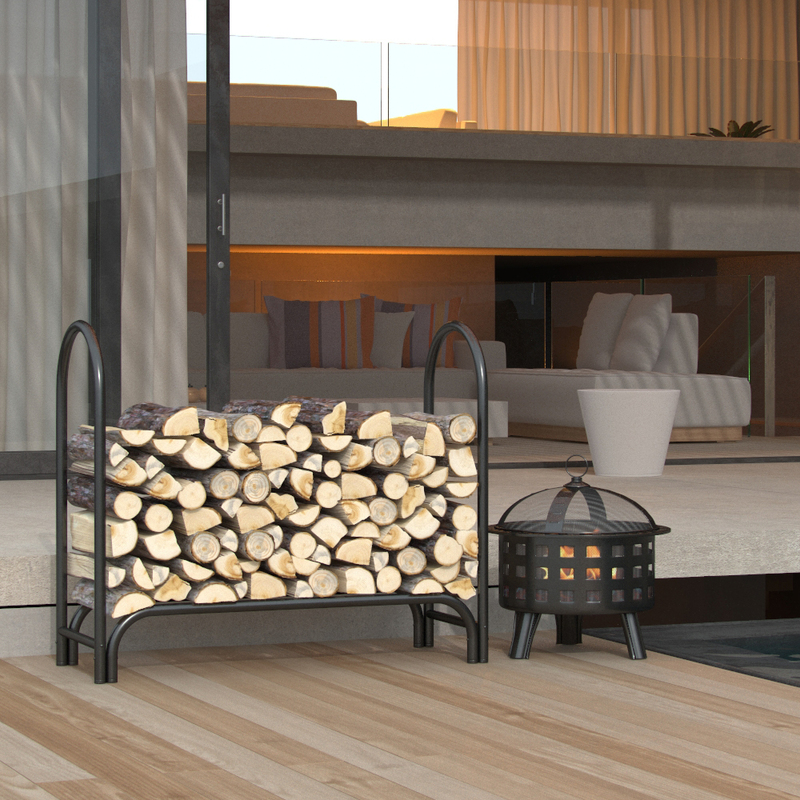 It is designed to perfectly fit the need for keeping wood next to a fire pit or fireplace. 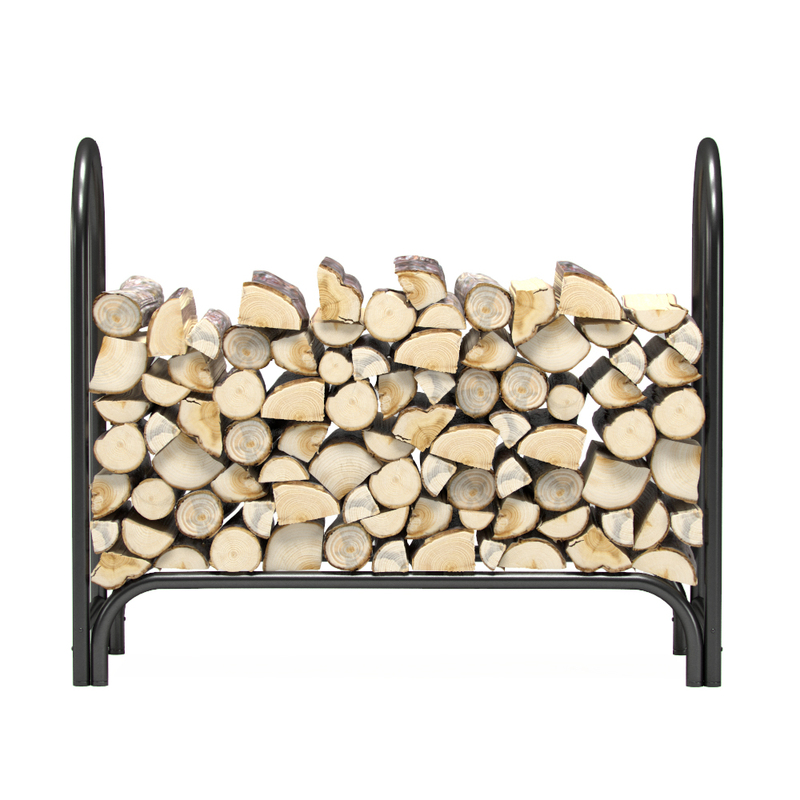 This firewood log rack is lightweight but durable, which makes it perfect for any home or camping needs. 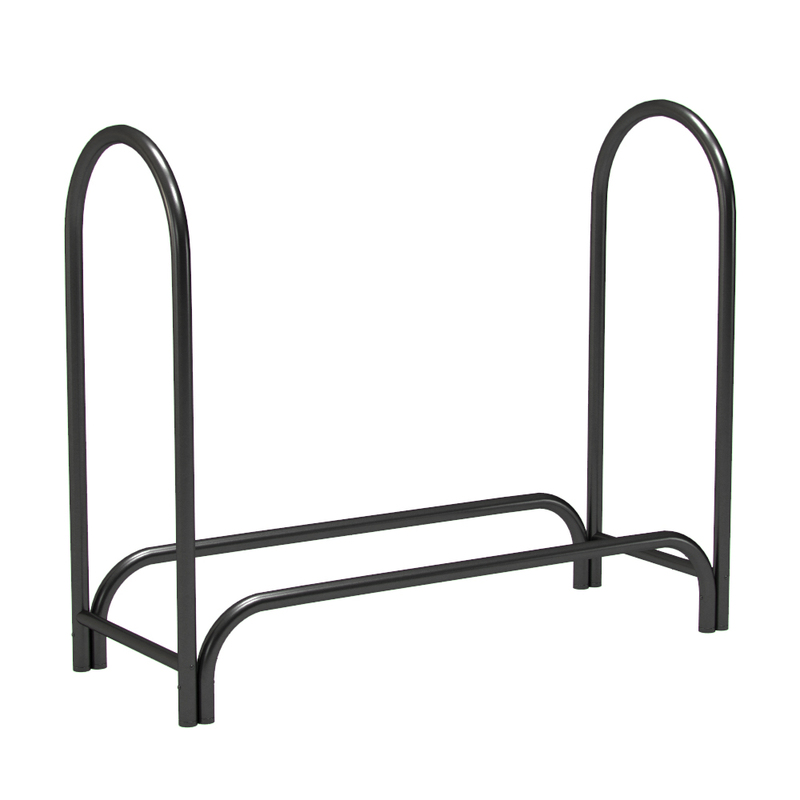 Dimensions: 47.7"W x 13.5"D x 49"H; Weight: 16 lbs. This item came on time and was easy to put together. It fits perfectly on my back patio and gives easy access to the firewood. I was able to put this together very quickly and load it with wood. I've got wood stacked all the way to the top and it's supporting the weight just fine. I've got it covered with a tarp in the back yard and it's doing just fine. Definitely what I needed and glad I bought it. UPDATE: Just wanted to say that this has been sitting out in the back yard (loosely covered with a tarp)through the last harsh winter and a couple of flood level downpours and it's still standing strong. 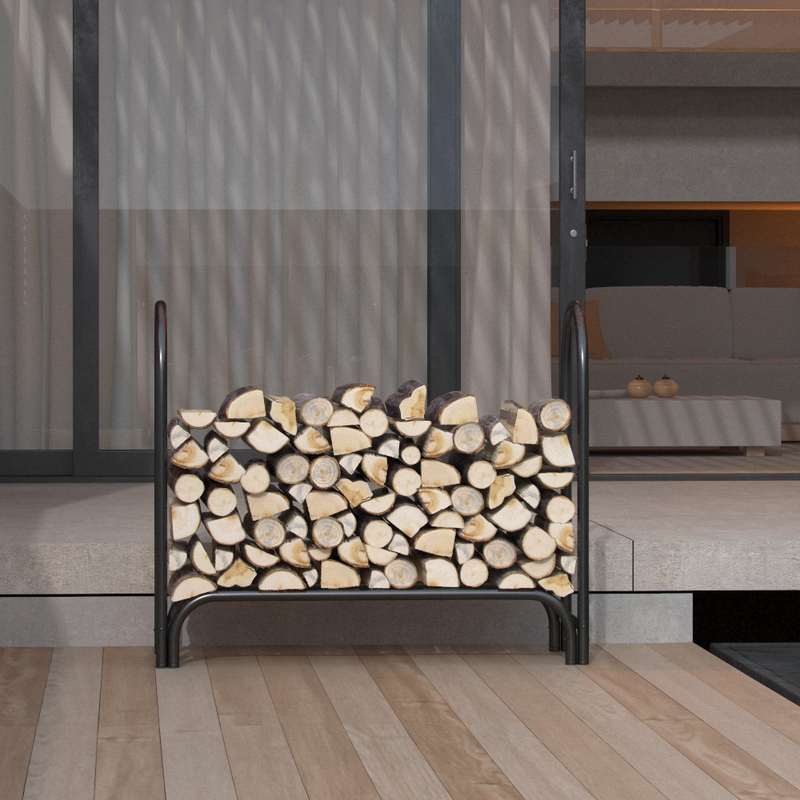 Decent log rack. The holes are punched somewhat poorly. Mine were at a slight angle, but that was easy to overcome by getting the crossbar in place then using the leverage from that to straighten it all out. It definitely didn't come out perfectly square, but it definitely holds logs. Easy to put together, lightweight but strong. It held an entire facecord plus. 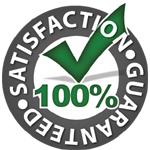 Only reason I gave 4 stars is that it doesn't have a bottom surface. If wood size is 16" or less they tend to slip through. I bought a 3x8 corrugated pc.of roofing material from Lowes made 4 cuts and fastened it to the vertical and horizontal tubing. It worked great. hubby put together quickly and was easy to do. (10 Min's the most) Made well and holds our firewood very nicely, easy to attach a rain tarp too.